Opening a new project will add a new empty screen automatically. 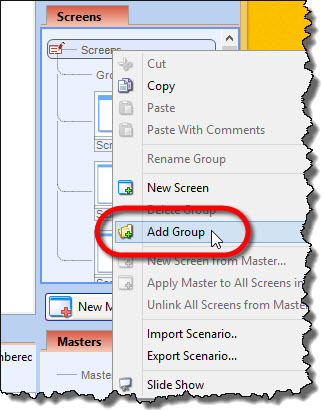 Groups are treated as scenarios by default. 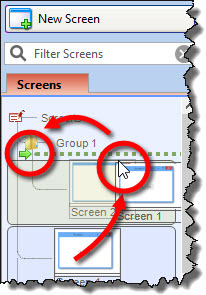 However, a group can hold any number of screens you choose to group together. 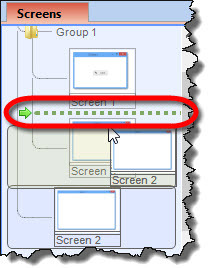 The other way to move a screen into a group is to cut and paste it, via the right-click menu. 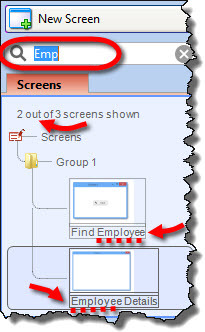 To copy-paste a screen, use copy-paste commands from Screen Tree panel’s right-click menu. Note that screen’s annotations will not be copied by default. By default, copying a screen does not copy its annotations. 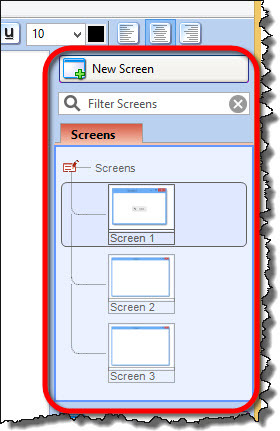 You can rearrange screens by dragging & dropping them in the Scree Tree panel. Right-click on a scenario and choose “Copy”. 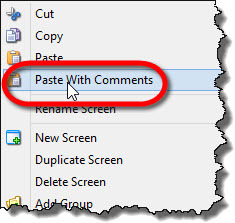 Right-click on a Screen Tree where you want to insert the copied scenario and choose “Paste”.